The world of virtual reality is expected to grow in the coming years, but may experience slower growth in the short term. 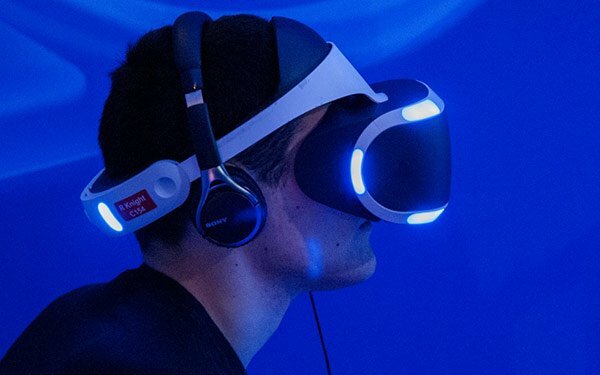 Although the market for VR headsets is currently led by mobile-based viewers, the market for stand-alone VR systems will grow nearly 10 times faster than mobile in 2021, according to a new study by ABI Research. More than 100 million virtual reality devices will be shipped by 2021, according to ABI Research. “Mobile VR built a solid foundation for the overall market over the past few years, but stand-alone VR devices will eventually drive it,” stated Eric Abbruzzese, senior analyst at ABI Research. As more stand-alone VR, AR and MR (mixed reality) headsets hit the market as soon as this year, such as Intel’s untethered Project Alloy headset that was previewed at CES and similar headsets from Microsoft hardware partners, ABI expects more use-cases to follow. By 2021, the virtual reality market is expected to grow to $64 billion and VR advertising and related revenue will account for a ‘significant’ part of that, according to ABI. Another recent study by Forrester Research has a similar long-term vision for virtual reality. That study, comprising two surveys representative of the U.S. population, identified issues in the current state of the VR market that are limiting its short-term growth. For example, almost half (42%) of U.S. adults said they have never heard of virtual reality headsets and more (46%) said they don’t see a use for VR in their life. Overall adoption of VR headsets, mobile and stand-alone, will remain below 2% of U.S. adults by the end of this year, according to Forrester. Another area of strain within the VR market, especially for advertisers and brands, is the content. Most brands testing the medium start with basic 360-degree branded videos, which can be significantly less expensive to create and can scale, but typically lack the desired impact for consumers, according to Forrester. As a result, brands generally fail to deliver the level of content that will drive consumer interest for VR while the costs to create the desired fully immersive experiences can be out of reach for most budgets. This dynamic has been a topic of discussion among agency executives and there doesn’t appear to be a clear consensus across agencies. For example, Boston-area brand experience agency Cramer sees mid-range mobile-based VR headsets with moderate levels of interactivity as the best value for both the content creator and consumer, as the IoT Daily reported (Agency Sees Samsung Gear VR As Sweet Spot For Clients). “For a lot of our clients, the things that we do are activation-based, trade show-based and the best experience you’re going to get is on a Gear VR in a swivel chair,” Lindsay Nie head of creative technology at Cramer, told the IoT Daily at the time. Another agency executive told the IoT Daily that clients have mostly expressed interest in 360-degree content because of the low cost and scalability (Best Buy Adds VR To Stores; Agency Sees Tech As Secondary). Outside of 360-degree content, Hill Holliday’s Steve Callan sees the current state of the market limiting VR experiences to experiential activations. “In the short term, this is something you either use at your home or something that you use with a particular installation in mind, like experiential,” Callan, who is the senior vice president and head of creative technology at Hill Holliday, told the IoT Daily at the time. On the opposite side of the spectrum, Isobar recently developed its own guide to tackling VR content creation for agencies, dubbed the ‘VR Content Pyramid’ (Agency Creates 3 Tiers For Augmented, Virtual Reality). After working on multiple 360-degree and room-scale VR projects for clients, Isobar advises agencies and clients to design experiences with the highest level of immersion capabilities in mind and then work down to more limited iterations, such as web-based 360-degree content, based on budget. This strategy seems to counter what many brands and agencies have done to date.